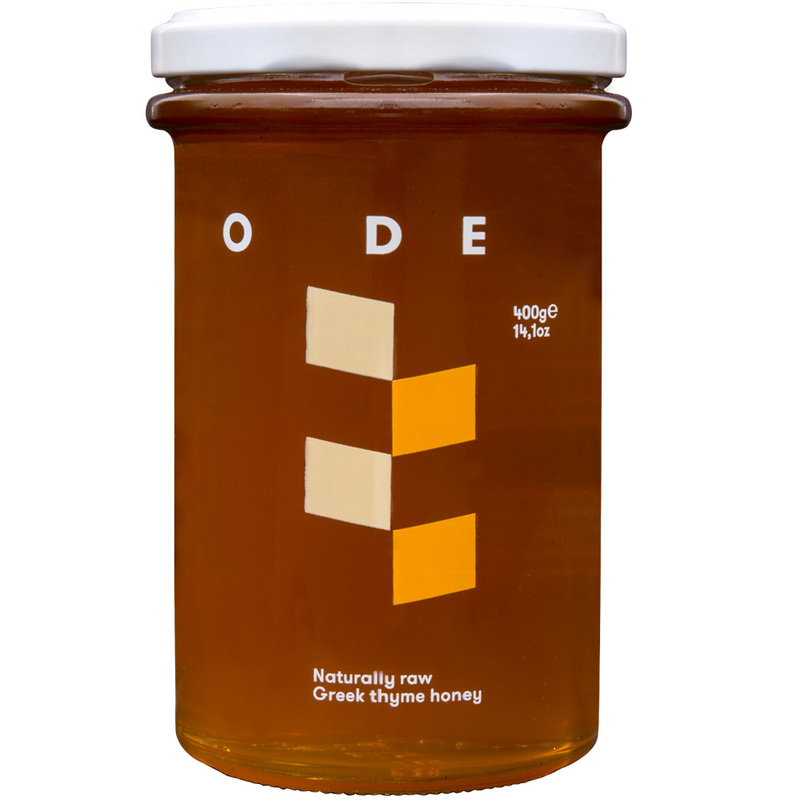 The honey you are holding is the most original sweet liquid that honeybees produce from the concentrated nectar of wild thyme flowers that grow in the blessed Peloponnesian land. Naturally raw, pure and delicious, this honey is rich in antioxidants and antibacterial compounds. It has an exquisite smooth taste and is excellen drizzled over greek yoghurt or warm bread. The product you are holding is a treat for both your eyes and your delight. 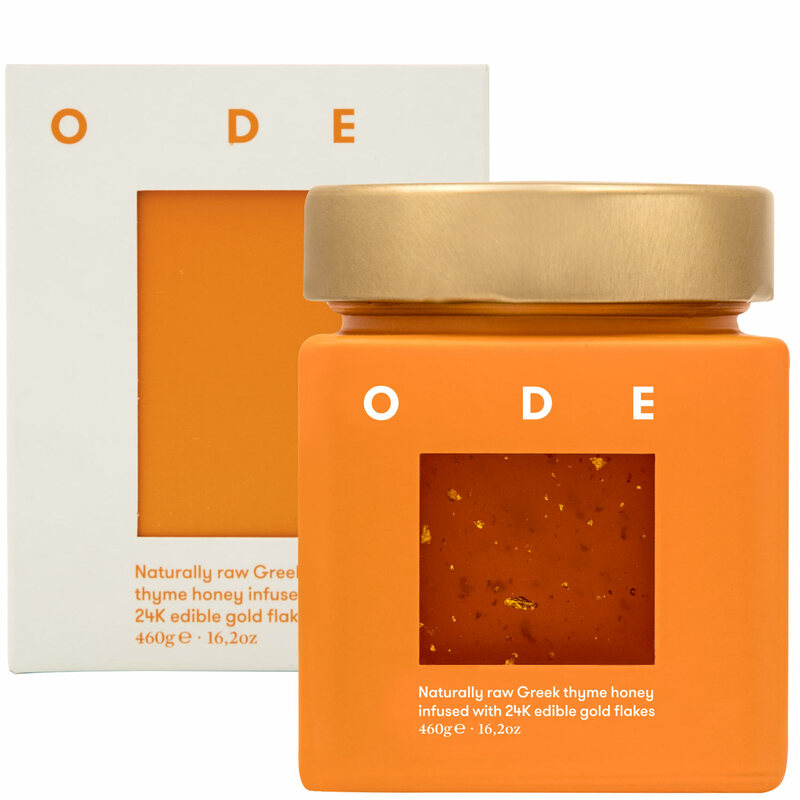 Naturally raw and unfiltered, this honey is produced from the concentrated nectar of wild thyme flowers that grow in the blessed Peloponnesian land, and blended with 24K edible gold flakes, an ingredient used by the ancient Greeks and Egyptians as a precious elixir. Rich in antioxidants and antibacterial compounds, this exquisite product can turn any dessert into a nourishing work of art.